Bruce D. Schobel, FSA, MAAA, may be the most knowledgeable actuary on Social Security in America. Bruce is a former President of the Society of Actuaries, 2007-08. He worked under the legendary Social Security Chief Actuary and Deputy Social Security Commissioner Robert Myers during 1979-88. Bruce was a key player in developing the reforms that saved the Social Security system from bankruptcy in 1983. He reviewed parts of Ronald Reagan's speeches and once even briefed President Reagan one-on-one before a speech. Interviewer: Jon Evans, FCAS, MAAA, co-founder of SGRisk. This interview originally appeared in the SGRisk Newsletter. Q: The classic question: Is Social Security going to be there when I retire in (10, 20, 30, 40,...) years? A: Of course the program will "be there"! Nobody could possibly turn off the lights and lock the door. The real question is what will the program look like in (10, 20, 30, 40,...) years? Certainly not exactly like it does today, because under present law, the current program becomes unsustainable in the 2030s. Q: What should an individual do to make sure that he or she receives all of the benefits they deserve? A: "Deserve" is the critical word in your question. 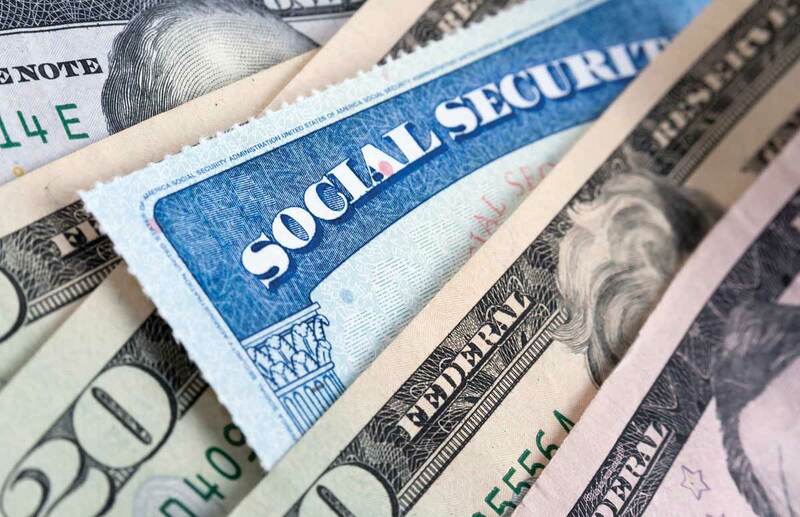 Social Security, while commonly called an "entitlement program," is simply a program of benefits provided under a Federal law. That law can be changed -- and it has been changed countless times. The Supreme Court ruled half a century ago that Social Security benefits are not "property" that is protected by the Fourth Amendment to the Constitution. If Congress changes the law, then it simultaneously changes what you "deserve" under the law. Q: How is the long term solvency of the system determined and how solvent is it right now? A: Social Security's financial status is evaluated annually by its Board of Trustees over a 75-year long-range time period. The 2016 annual report, issued on June 22, shows that, under the intermediate (best estimate) assumptions, the program will become unable to pay timely benefits in full starting in 2034. The long-range assumptions are developed within the government but not subject to any evident political bias. For one thing, the annual trustees reports have looked pretty much the same for the past 30 or so years, under both Democratic and Republican administrations. Moreover, the assumptions are evaluated periodically by panels of private-sector and academic experts appointed by the Social Security Advisory Board. Those technical panels have generally endorsed the government's assumptions, with only relatively minor recommendations for changes. Q: How are the solvency challenges different (or the same) for the different components of Social Security (old age retirement, disability, medicare, prescription drugs, etc.) ? A: "Social Security" is the term normally used to describe the Old-Age, Survivors and Disability Insurance (OASDI) programs provided by Title II of the Social Security Act. The other programs that you mention are part of Medicare, a separate program with its own, even more pressing problems. Right now, following a recent payroll-tax-rate reallocation, the old-age and survivors insurance program and the disability insurance program have nearly identical long-range financial outlooks. Q: What was the solvency crisis facing Social Security under Reagan? A: In a nutshell, the financing provided by the sweeping 1977 Social Security Amendments proved to be inadequate to withstand the very high inflation and slow economic growth that began during the second oil crisis of 1979. Social Security was allowed by special legislation to borrow funds from the (at the time) much healthier Medicare program, but even that borrowing could not carry the program beyond June 1983. The July benefit checks could not have gone out on time without corrective legislation. The 1983 Social Security Amendments were signed by President Reagan on April 20, with just 70 days to spare! Q: What changes were made under Reagan to maintain the solvency of the system? A: The big-ticket, visible items were (1) acceleration into 1984 and 1988 of most of the payroll-tax-rate increase previously scheduled by law to occur in 1990, (2) 6-month delay of cost-of-living adjustments, (3) extending Social Security coverage to some non-covered groups, notably Federal employees hired after 1983, and (4) taxation of some Social Security benefits, with the revenue going back into Social Security. The 1983 amendments also raised the normal retirement age from 65 to 67, but that had no effect until 2000, so it was much more of a long-range change, not something that helped immediately. Q: What was it like to chat with Reagan one-on-one before a speech? A: It's difficult not to be star-struck by someone so charismatic. But he was quite charming and started out by saying to me, "I hear you're doing great work at Social Security." Definitely got me off on the right foot! Q: What changes might be implemented now or in the near future to extend the solvency of the system? A: Some of the changes that worked in 1983 can't be repeated. The program now covers virtually everyone who works, with the exception of 5-6 million state and local government employees, for whom mandatory coverage raises constitutional issues. Taxation of benefits phases in to 85 percent, so that can hardly be increased. The normal retirement age could be raised beyond 67, but people start getting squeamish around 70, and increases in life expectancy haven't been shared very well across economic strata, so it's a problematic idea. Certainly the payroll-tax rate and the maximum taxable amount (the "wage base") could be raised. Many observers note that this Congress would never pass tax increases like that, but we're concerned about what Congress might do in the 2030s. We haven't met most of them yet!!! Q: Which of these changes do you think are most likely to be implemented and when will they most likely occur? A: I believe that some roughly equal mix of tax increases and FUTURE benefit reductions is inevitable, in order to get the political support necessary for passage. Everybody has to suffer a little. On the tax side, raising both the rate and the base seems quite plausible and realistic. On the benefits side, COLA reductions, similar to what Congress did to Federal employees (including Congress itself) in 1986 appear likely to me, along with probably some further increase in the retirement age. There may be some less transparent changes to the benefit formula. I do not expect to see means testing, simply because it can't save very much money without digging pretty deep into the upper middle class. Taking away Warren Buffett's benefits won't accomplish much! Q: How do the Social Security trust funds work and how would you respond to people who claim the money has already been spent and is not really there? A: The trust funds are merely an accounting device that tells the government how much has been collected (and how much interest has been credited) over how much has been spent. All of the funds are invested in U.S. government bonds. The government spends that money on anything it likes, so the money really isn't "there" in any real sense. But where could it be, anyway? Under some giant mattress somewhere? We don't want the government to use these unspent trillions of dollars to buy private-sector companies, right? Q: How would you respond to people who say Social Security is a Ponzi scheme? A: A Ponzi scheme, by definition, requires ever-increasing numbers of participants to stay afloat. Social Security does not. It just needs to maintain a reasonable balance between income and outgo. Q: Private defined benefit plans (pensions) have almost disappeared in America. Can you outline the history of these plans and what happened to them? A: Very, very briefly, companies decided to shift much of the risk (investment and longevity) from themselves onto plan participants. Simple as that. Interestingly, governments have not copied them to any great extent. Q: How big is the risk that even with Social Security and defined contribution plans (401k, IRA, etc.) many workers will face poverty in old age? A: Some people spend their whole lives in poverty. That's just a fact. I have never understood why, upon reaching some magical age, poverty should suddenly disappear. It's not realistic. But the shift away from defined-benefit plans will certainly exacerbate the problem. Basically, just about everyone who lives long enough will be poor eventually. Or much poorer than they were when they were younger and working. Q: Do you expect any legislative reforms to encourage a return of private pensions? A: The government has enough trouble forcing people to buy health insurance. I don't believe for a minute that the government could force companies to provide pensions. The only way to encourage such behavior is with tax incentives, and those will be much less effective if the corporate tax rate is lowered, as seems to be the intention of the new administration. Q: Can you describe the solvency problems that are occurring now with public employee pension systems at the state and local level? A: Many state and local governmental pension plans have over-promised and under-estimated the cost of meeting those promises. The chickens are starting to come home to roost. We see more and more governmental units taking ever-more-drastic measures, including bankruptcy, to save themselves. But some state constitutions do not permit amendment of governmental pension plans, except for new entrants. That's going to be a big problem. Q: How do you think these public employee pension problems will be resolved in the end? A: Clearly, benefits will need to be cut, where that's possible. In places where that can't happen quickly enough, we may see more bankruptcies and changes imposed by Federal courts. Q: Are there any solvency problems with federal employee pension plans? A: No. The workforce is pretty stable, and the plans are not over-promising, in general. Q: Right now what can employers do for their employees, and employees do for themselves, to secure an adequate retirement? A: I've been saying for decades that individuals need to save much, MUCH more if they expect to maintain their pre-retirement standard of living after they retire. People need to start sooner and save more. That means living farther below their means while they are working. Of course, poor people simply can't do that, which is why Social Security is so generous to the truly poor -- and should remain that way. Q: What is the best age (62, 66, 70) for a retiree to begin collecting Social Security? A: Waiting until age 70 maximizes lifetime benefits for healthy, married people. Remember that delayed-retirement increments can be inherited by surviving spouses. That's very valuable. Of course, most people retire long before age 70, so they need to live off other assets until they claim Social Security. In general, the longer you wait, the better off you are. And this realization is starting to be reflected in retirees' behavior. Q: The issue of partial or complete privatization of Social Security is often raised. How would such privatization proposals work and how would they differ from the current system? A: It's bad enough that investment and longevity risk have largely been shifted from employers to employees. The government should not follow suit. Anyway, shifting tax revenue into private accounts now would merely accelerate Social Security's insolvency date. Why would anyone want to do that? Basically, in my view, you just can't get there from here. That train left the station 80 years ago. Q: Do you expect any degree of privatization to be implemented, whether in the short term or the long term? A: No, I don't. But governments make bad decisions from time to time. Anything can happen. Q: There is sometimes an overlap between the benefits provided by Social Security and other sources such as work comp. Can you describe some of these situations and generally which source should pay first? A: The Social Security disability insurance program has provisions integrating it with workers' comp. In most states, workers' comp pays first, and the DI benefit is reduced, but in a minority of states (something like a dozen), the reverse is true. It's pretty clear (to me, anyway) that workers' comp should pay first, but some state laws have turned that around. Q: How do retirement systems (both public and private parts) tend to work in other countries around the world? A: Most advanced, Western countries have defined-benefit programs that look and operate quite a lot like Social Security. Many Asian and third-world countries have plans that resemble government-run 401(k) arrangements. The poorest countries generally have nothing. Q: Are there elements of retirement systems in other countries that you think might make sense to implement in the USA? A: Not really. Social Security is state-of-the-art, for the most part. For more information about legendary Social Security Chief Actuary Robert Myers, check out his book Within the System: My Half Century in Social Security, Memorial Edition, ACTEX, 2010. In the book, Myers explains how Social Security works and why it will endure as long as the United States continues its existence as a nation. You can also read more about him on the Social Security History Archives. This interview originally appeared in the SGRisk Newsletter and was reprinted with permission from SG Risk, an independent property-liability actuarial consulting firm. In " Actuarial Career, Notable Actuaries, Webinar "